At over 26,000 views, one of my most watched YouTube tutorials is on how to paint over laminate with Annie Sloan chalk paint. Since a lot of people are interested in this topic, I’m sharing a post that I originally published September 2014. My posts are about my own experience with the product and are not sponsored. I do not have a ton of patience when it comes to my projects. I see a piece, I have my vision and I just want to get started. That being said, I do spend a lot of time filling, sanding and doing light carpentry work on pieces to get them ready to paint. However, when it comes to laminate I have had great success in doing…nothing! 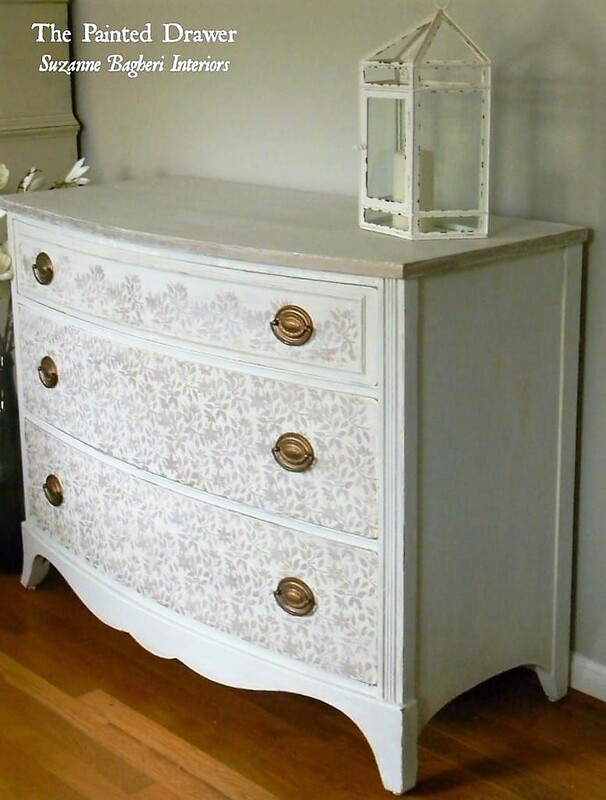 Annie Sloan Chalk Paint will adhere beautifully to laminate. All I do is clean my piece to remove any residue or dirt and then apply the paint. 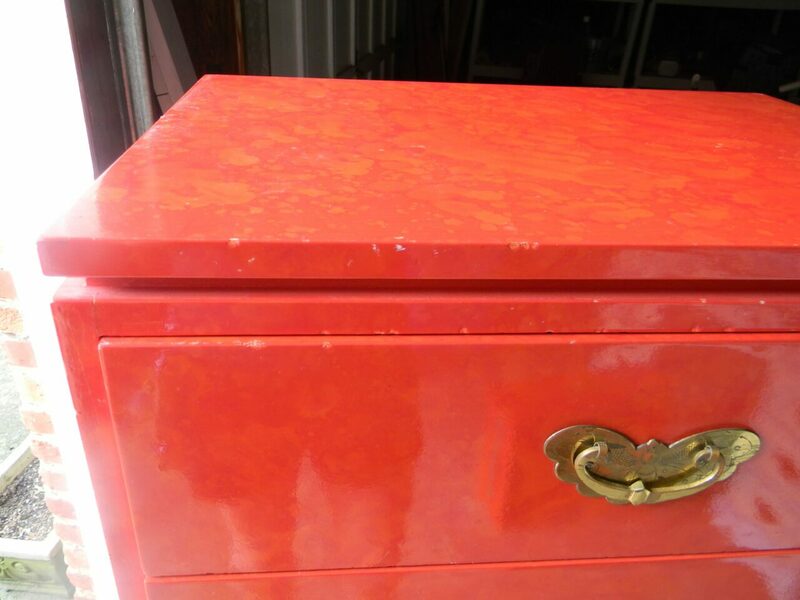 This large chest came to me in the shiniest, brightest orange/red I have ever seen. My client wanted it transformed (could you blame her?) and I called it the Fireball Formica Transformation. It turned out beautifully in Annie Sloan’s soft grays with the red just peeking through the distressing. I believe you all know the Shabby Glam dresser ? Once again, laminate top. It had been glued on at some point and it was on there very securely. If I had tried peeling it off, it would have left a chipped up mess. So, instead I painted it. Annie Sloan Cream and Old White covered it perfectly. 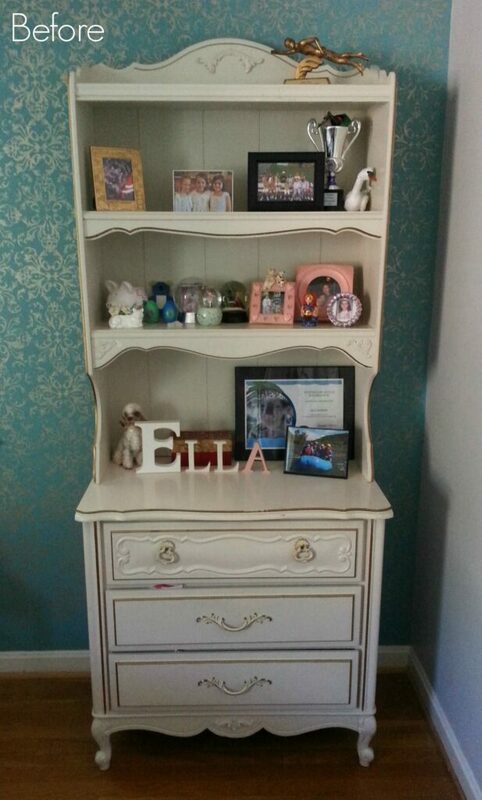 Yesterday, I redid this great french provincial piece for my daughter’s room. It is the standard, laminate topped, 1960’s piece. 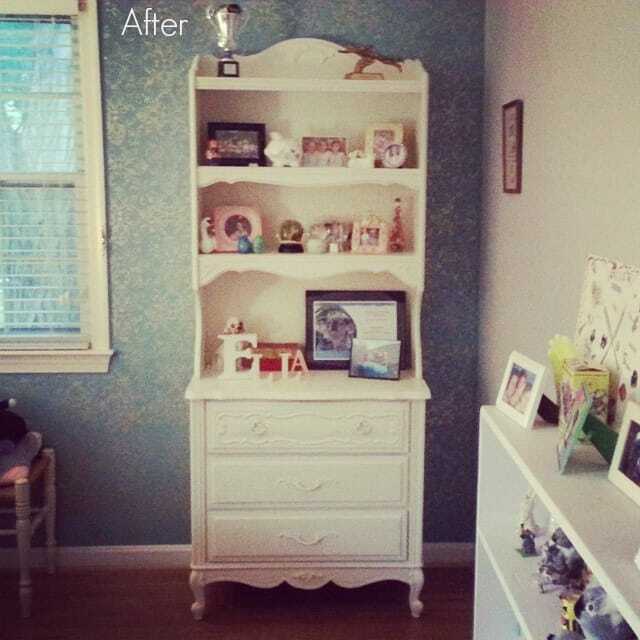 It only took two coats of Annie Sloan’s Old White for it to go from dated to bright and young. I made a video of the transformation. It is on my YouTube channel and above in Tutorials. 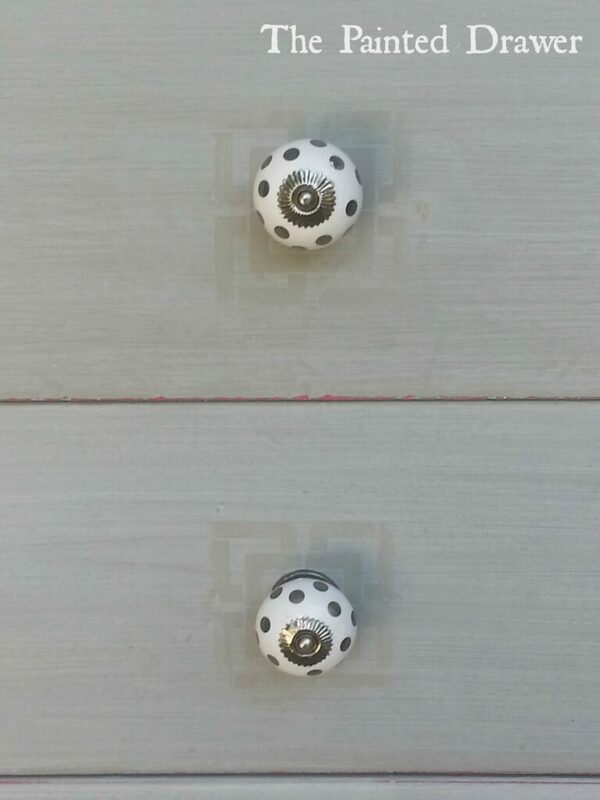 It shows how easily the paint applies and adheres to the laminate. It also shows that I really need to wear more makeup and that my movie making skills are still less than stellar! 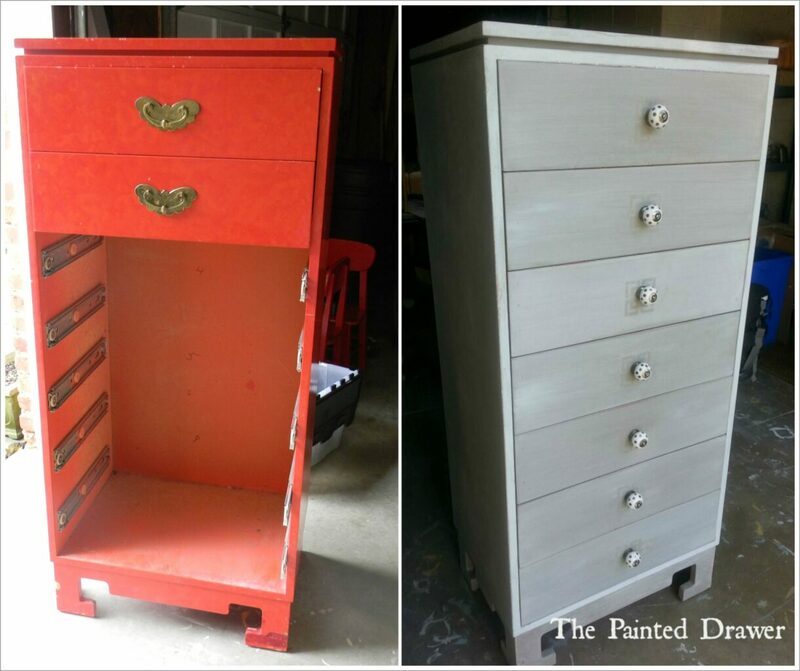 No need to throw out the old shiny stuff – just paint it! You did a great job on this piece Suzanne–lucky daughter! What about kitchen counter tops, how well does it wear. Love your work. Hi Jan, well you can actually paint just about anything. However, the question is “should” you paint it? I mean, the paint will adhere and it would like nice but I am not sure about the durability of paint on a counter top. Pretty hard to scrub clean without ruining the finish. I would suggest against it. Thanks! Hi Dot – I would give it a quick clean and then go to town with the paint. No need to sand or prime. Just clean any gunk off it and have fun! I was so happy to see how easily you can use chalk paint on laminate. I have a g blue laminate sofa table, very modern but it is scratched and nicked up so would like to give it a fresh look in vintage or industrial like wrought iron but with some brown distressing. Is this too complicated to do for a “newbie”? Have never tried to do anything like this before! Thanks for input! Hi Kathy, why don’t you shoot me a few pics? I can even post it on What Would YOU Do? to get other’s views. It’s a lot of fun 🙂 but anyway send me the pics so I can see what you mean. Cheers!